The plans by Brussels to return irregular asylum seekers from Greece to Turkey violate EU and international law, as Turkey is incapable of providing refugees with adequate protection, Amnesty International has said. 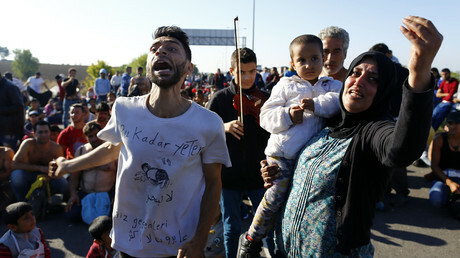 In a 36-page summary, the international rights organization described the mistreatment of refugees in Turkey, saying they are not safe in the country. Turkey, Amnesty said, is simply incapable of providing an adequate level of protection. “The EU-Turkey deal is reckless and illegal. 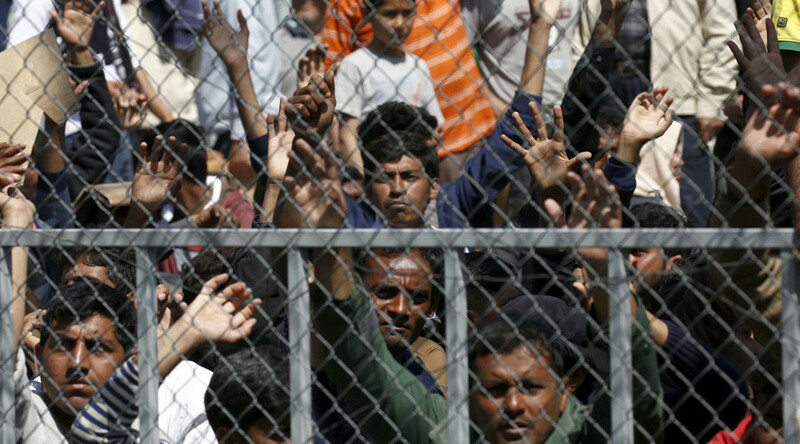 Amnesty International’s findings expose as a fiction the idea that Turkey is able to respect the rights and meet the needs of over 3 million asylum seekers and refugees,” said John Dalhuisen, Amnesty International’s director for Europe and Central Asia. Over 3 million refugees are currently staying in Turkey, most of them from neighboring Syria, but thousands have also arrived from countries such as Iraq, Iran and Afghanistan. In addition to the threat of forced repatriation to those countries, where asylum seekers would not be safe, the refugees also have to cope with harsh living conditions in Turkey itself, the report said. The country is slow to process asylum applications, forcing millions to stay in legal limbo. Turkish authorities refused Amnesty’s request to provide exact statistics, but in April they reported having processed around 4,000 applications. Migrants still waiting for their paperwork to cut through red tape are denied full refugee status and integration. They can neither build a new life in Turkey nor hope to legally resettle in another country. The majority of them have to provide for themselves with little to no aid from the Turkish government. About 90 percent of refugees in Turkey are not provided any shelter at all, Amnesty said. Refugees told the group how they have to sleep in mosques, parks and metro stations because they cannot afford the rent. Children as young as nine have to work to provide for their families. They are often working long hours for illegal operations. One such operation that employed 282 Syrian children was raided in the southeastern province of Kahramanmaras last month. Some of the people interviewed by Amnesty said they turned to smugglers to enter Europe illegally just because they thought that risking death during the trip would be better than continuing their existence in Turkey. “If there was any hope of resettlement, we would have waited. We were really scared of the journey to Europe because we knew it was dangerous. But…we were so desperate. We said to ourselves: ‘Maybe we will die, maybe we won’t arrive – but it doesn’t matter because we can’t stay in Turkey anymore,’” a refugee woman from Afghanistan, identified under the changed name ‘Faiza’ in the report, told the rights group. She and her sister took a boat to Greece after waiting three years for signs of progress in Turkey. Under the EU’s deal with Ankara, it will send to Turkey all refugees arriving illegally in Greece after March 20. In exchange, Brussels agreed to take in up to 72,000 refugees from Turkey and offered generous aid and political concessions. The justification that Turkey is a safe place for refugees is the basis for the deal. “The European Union has responded to one of the darkest humanitarian catastrophes of our time by putting up fences, deploying more border guards, and striking dodgy deals with neighboring countries to keep people out. The result is misery and suffering, and more deaths at sea,” Dalhuisen said. “The EU-Turkey deal is a bad deal for refugees, and returns of asylum seekers and refugees under the deal should be suspended,” he added. "What's required is a credible resettlement program to take refugees and asylum seekers from countries like Turkey but also Lebanon and Jordan, countries which are on the front line receiving the vast majority of refugees from Syria." The ongoing refugee crisis is the worst the world has seen since World War II. Europe in many cases initially welcomed asylum seekers with an open door policy. However, it has caused a split in the EU, as some members refused to take their quotas. The countries receiving the biggest share of the inflow saw a surge in popularity of right-wing parties, as their message of national identity and mistrust towards newcomers resonated with the public. The rise came as people felt resentment over the financial cost of providing for refugees’ needs and associated problems such as crime and cultural issues.